2 can paint for $40!! Join Paint and Party for a canvas painting event, Tuesday December 11th at 6:30pm!! 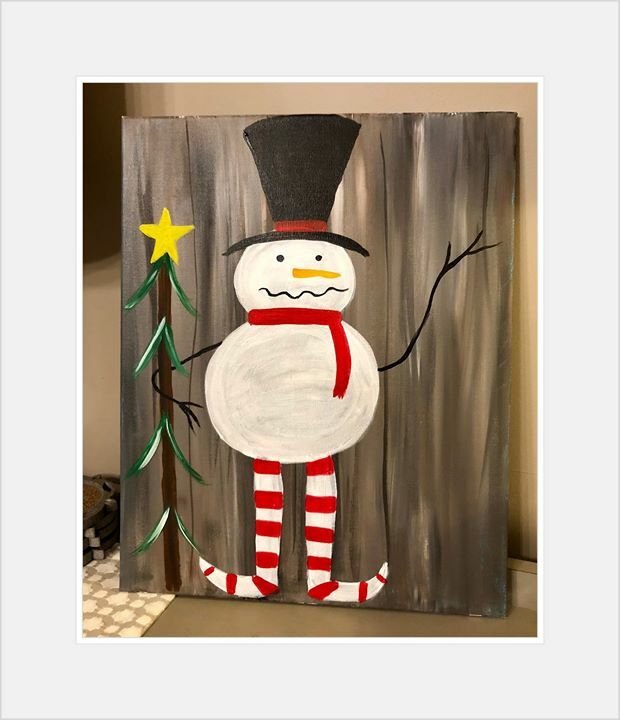 No need to be an artist, we teach you step by step how to paint the Snowman painting shown!! Includes everything you need to create on a 16×20 canvas and 2 hours of instruction. Drinks and food will be available for purchase, Please RSVP on the Paint and Party website- www.paintandpartyindy.com, seats are limited. All ages are welcome!